I wanted to create a thread dedicated for those that are experienced or newbies that want to get into running a marathon. One of my life goals is to run a solid 26.2 mile marathon. I have never ran in one but started training so I could do it next year. My plan is to start on a treadmill running 2 to 4 miles with no rest than gradually raise the limit. After I get a little comfortable with that, I plan on doing it outdoor where the ground level is uneven and carrying the body weight forward makes running harder. Eventually later this year, I plan on doing a 5k then work my way up to the ultimate 26.2 mile marathon. Running has never been my thing (weight lifting is), but I thought I needed to give myself a challenging goal to satisfy my goal-driven mindset. Hoping to see some marathon enthusiasts here. Last edited by ronaldy27; 06-15-2018 at 09:26 AM.. Eventually later this year, I plan on doing a 5k marathon then work my way up to the ultimate 26.2 mile marathon. A marathon is 26.2 miles. You don't refer to other distances as a marathon. A 5k is just a 5k. Tell you what, I'll do the Mary with you. Train hard, good luck, see you next year! 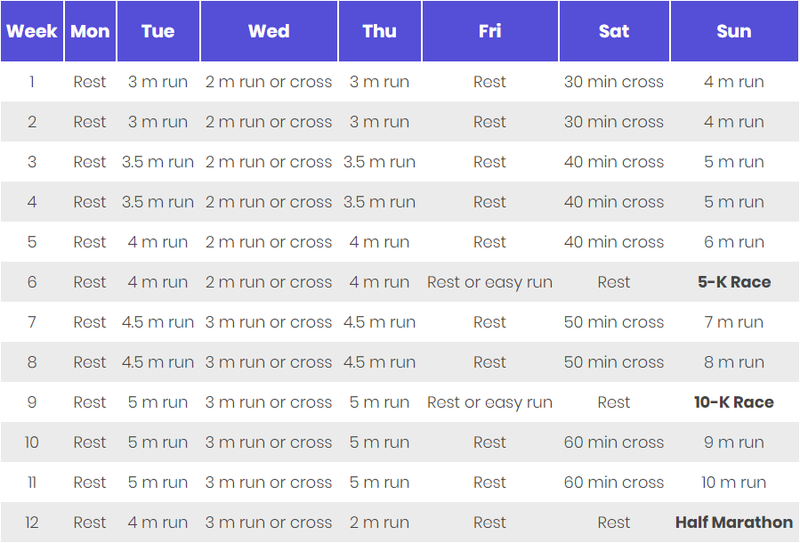 I have the 26.2 app (by the guys from C25k) that I actually started this week. I'm training for a half in Nov.
Did you like that? I like the schedules for the couch to 10k but looked at the 1/2 marathon and wasn't as impressed. Although it has been a while and I can't remember why. For the cross training (which I did yesterday and Tuesday) I did 40 min on a stationary bike on the lowest resistance setting for the first day and one notch up yesterday. Good stuff. I'm also thinking about getting one of those fitness smart watches (fitbit?) to keep track of my mileage among other indicators.